One of the biggest and most important uses of sod, application to golf courses and other large plots is a crucial function of sod layers and units. One of the most useful aspects of sod as an agricultural and environmental tool is its ability to bond with the soil it is placed on, creating a seamless and natural terrain shape. This is ideal for golf courses, soccer fields, and other athletic applications. Athletic fields are easy to sod because they have such a standard flat landscape. This provides a great 'grip' for ordinary and Arizona sod sheets or units. 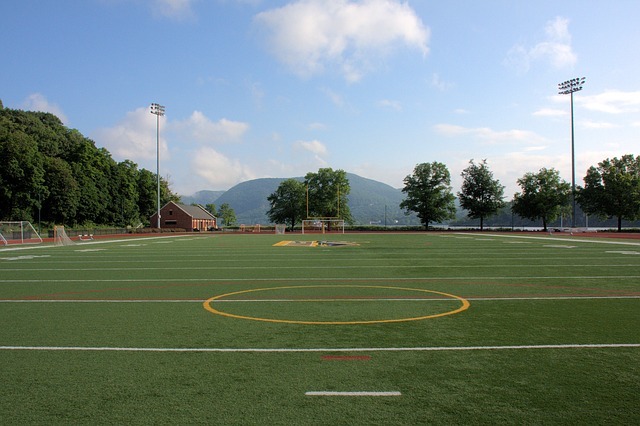 However, the one disadvantage of using sod on athletic fields is important: high levels of activity will often tear up sod and cause permanent damage to it. For sod vendors this is fine because it means more frequent sod sales: for location owners it can be a tricky problem. Fortunately, sturdier or even 'coarse' varieties of sod are available for the consumer. All these applications can be done organically and in a way that benefits the environment. Evergreen Turf has many organic-only sod vendors who provide Arizona sod with environmental benefits to the discerning consumer. You can lay down an environment-friendly layer of sod over your golf course or athletic field and be secure in the knowledge that this will help boost the environment and even the economy by helping to minimize pollution and grow the eco-friendly sod industry. Tucson and Arizona sod are sturdy and reliable forms of turfing that will be ideal for application in the Arizona and Tucson areas. Local soil also adapts to its surroundings better and the grass and sod manufactured and prepared in Tucson will bind better with local top soils, giving you a more reliable setup for your sod application. In addition, imported sod sheets and units do not always 'keep' and can become brittle or unbound during shipping. To keep your sod as fresh and as springy as possible it's best to draw from a local vendor in the Tucson or greater Arizona area. This helps preserve your sod, whatever its constitution, until it can be applied to the location of your choice. Overall Arizona sod sheets are a great choice for golf and athletic fields alike. Its composition helps to add support and reinforcement to naturally occurring terrain by setting down roots and becoming a part of the local ecosystem, especially in the case of organic sod.